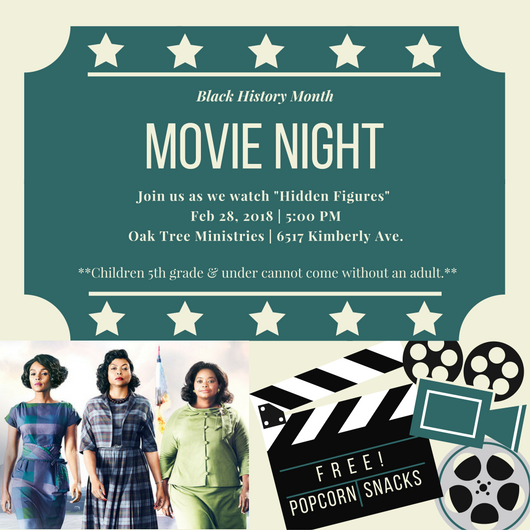 Join us as we celebrate Black History Month with a Movie Night at the Tree House! We will watch Hidden Figures preceded by a special poetry reading by one of our very own teens! Free popcorn & snacks will be provided.